Back from the archives... But not for long! UPDATE: This necklace has now sold out online and in store. 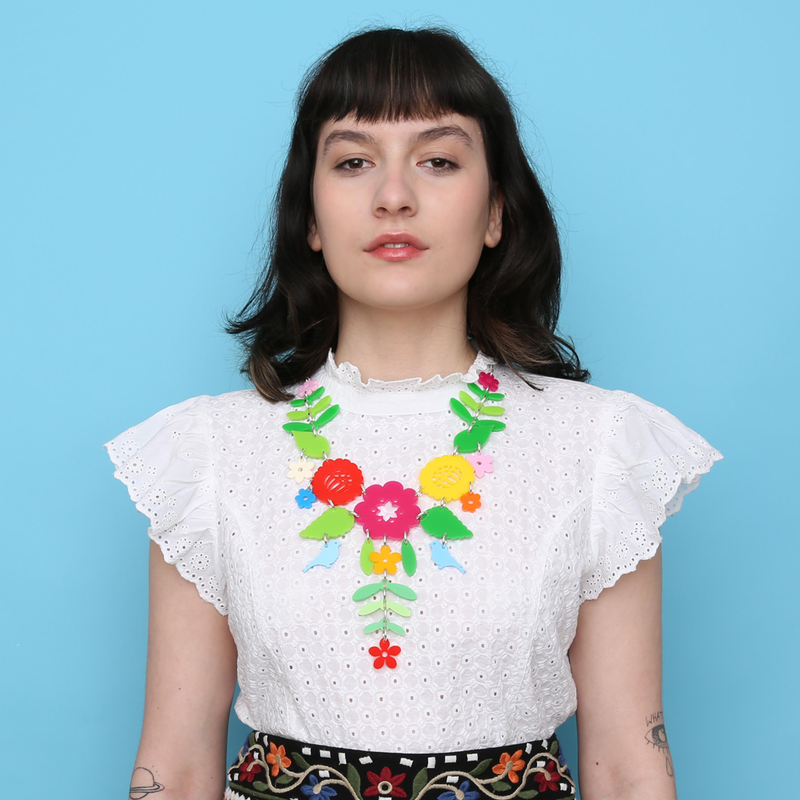 The iconic Mexican Embroidery Large Necklace has returned! 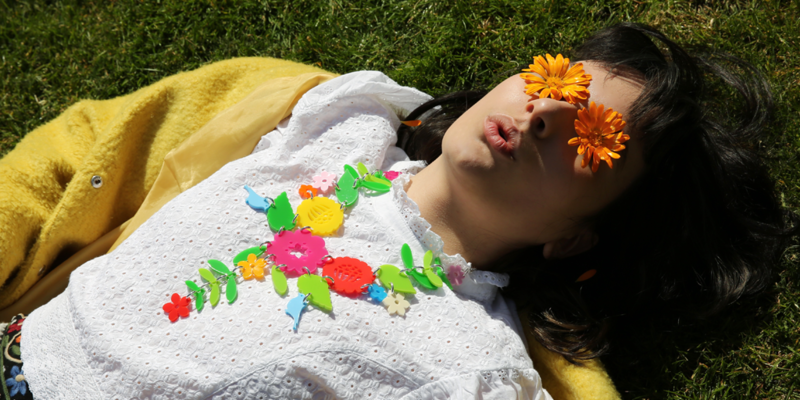 Inspired by bright Mexican dresses coupled with its statement size and sunshine palette, this colourful necklace has been a firm favourite of Rosie and Harriet’s ever since it was originally designed back in 2012. With so many of you obsessing over this playful piece, we’re super excited to bring this exclusive design back from the Tatty Devine archives! Wanna get your hands on one of these colourful collectibles? 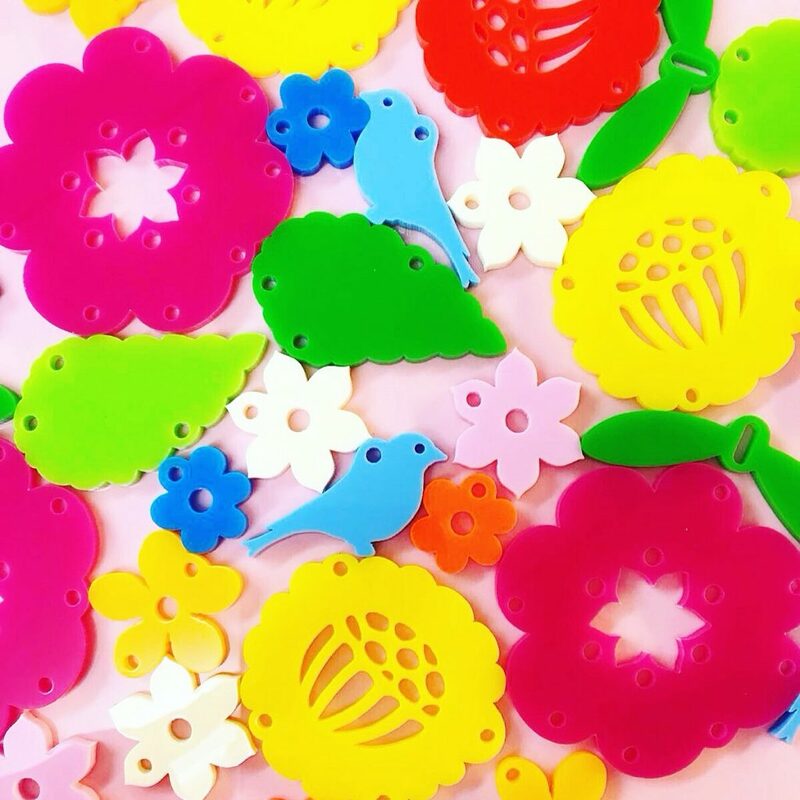 You’ve got to be quick, there are only a handful available in store and online, so don’t miss out on owning a piece of Tatty Devine history today!